Some of this is already afoot within the IndieWeb community with new protocols like Webmention, Micropub, WebSub, and Microsub. Journalists should know about this page on their wiki. I just added it up quickly and realized that I posted publicly to my website/blog/commonplace book a total of 4,694 times in 2018! Holy cow! I don’t have quite the crazy analysis that Jeremy Keith has done of his posts, and I initially thought that there was no way I’d posted as much as he had. Perhaps it might be worth delving deeper into the numbers to see exactly what is going on? Possibly worse(?! ), that total posting number is up from 1,762 public posts in 2017. I can only attribute the increase in quantity to the ability to increasingly easily post to my site via micropub clients and some simple bookmarklets I use in conjunction with David Shanske’s brilliant Post Kinds plugin. G-d bless the IndieWeb and its tremendously helpful community for helping me take back ownership of my digital online life. I can only imagine how much higher that number goes this coming year if I can manage to build a Microsub set up and indie reader into my website and make the entire processes even more friction-less. I unwittingly spent a few minutes last night on cleaning up some plumbing on my back end that will make it easier to follow up (when necessary) on likes, reads, and bookmarks that I collect. I can’t bear to go through and count the number of private posts for the year, but I will say that having my own online searchable database of things I’ve written, replied to, bookmarked, read, listened to, watched, annotated, etc. has been incredibly useful over the past few years. Started tinkering with building a feed reader again. Baffled to find that some of the feeds I subscribe to have 300-500 items in them for no good reason. Have you ever considered just using Newsboat and then building a web interface on top of it for mobile reading? I have been thinking about doing that myself recently. It is mostly a terminal based app, but it handles the crapy stuff like RSS and Atom parsing. Stores everything in an SQLite3 DB. You can still use it as a learning project, but not have to deal with the yuck part. This sounds a lot like the Microsub spec which abstracts and separates the parsing and displaying of content. There are already several separate server and reader implementations if you’re interested in tinkering. It is. One of my side projects at the moment is building an RSS feed reader that has social capabilities. So you can add friends, curate feed lists, and see what other people in your network are reading and recommending. I should look at the data for posting on my own site to see what the underlying mechanisms may be. Of course just the move to own all of my online posting and the general ideas behind IndieWeb, but before looking at data, I suspect most of it is related to bookmarklets for Post Kinds being so simple to use. I haven’t really delved into microsub yet, but I suspect it’s going to have an even more profound effect on my reading and posting habits. I tried to recommend #IndieWeb technologies to those affected by a recent Tumblr policy change. But many I talked to claim that recommendation is the whole draw of silos, and IndieWeb's lack of a recommendation engine is a deal breaker. Because of the decentralized nature of the IndieWeb, it’s most likely that more centralized services in the vein of Indie Map or perhaps a Microsub client might build in this sort of recommendation engine functionality. But this doesn’t mean that all is lost! Until more sophisticated tools exist, bootstrapping on smaller individually published sorts of recommendations like follow posts or things like my Following Page (fka blogroll) with OPML support are more likely to be of interest and immediately fill the gap. Several feed readers like Feedly and Inoreader also have recommendation engines built in as well. Of course going the direction of old school blogs and following those who comment on your own site has historically been a quick way to build a network. I’m also reminded of Colin Walker’s directory which creates a blogroll of sorts by making a list of websites that have webmentioned his own. Webrings are also an interesting possibility for topic-related community building. Since Tumblr is unlikely to shut down immediately, those effected could easily add their personal websites to their bios to help transition their followerships to feed readers or other methods for following and reading. Of course the important thing in the near term is to spend a moment downloading and backing up one’s content just in case. Happy birthday Dries! If I may, can I outline a potential web-based birthday present based on your wish? With relation to your desire to know who’s subscribed and potentially reading your posts, I think there are a number of ways forward, and even better, ways that are within easy immediate reach using Drupal as well as many other CMSes using some simple web standards. I suspect you’ve been following Kristof De Jaeger’s work with the Drupal IndieWeb module which is now a release candidate. It will allow you to send and receive Webmentions (a W3C recommendation) which are simple notifications much the way they work on Twitter, Facebook, etc. I’ve written a bit about how they could be leveraged to accomplish several things in Webmentions: Enabling Better Communication on the Internet. Not mentioned in that article for brevity is the ability to send notifications via Webmention when one makes follow or subscription posts. As an example, I’ve created a follow post for you for which my site would have sent a Webmention. Unfortunately at the time, your site didn’t support receiving it, so you would have missed out on it unless you support older legacy specs like pingback, trackback, or refback. I also created a larger related Following page of people and sites I’m subscribed to which also lists you, so you would have received another notification from it if you supported Webmention. I’m unaware of anyone actually displaying these notifications on their website (yet! ), though I’ve got some infrastructure on my own site to create a “Followed by” page which will store and show these follows or subscriptions. At present, they’re simply stored in my back end. As for Rachel’s request, this too is also possible with “read” webmentions. I maintain a specific linkblog feed (RSS) with all of the online material I read. All of those posts send notifications to the linked sites. While it’s not widely supported by other platforms yet, there are a few which do, so that online publications can better delineate and display the difference between likes, bookmarks, reads, etc. There’s at least one online newspaper among 800+WordPress websites which support this functionality. I suspect that with swentel’s Drupal module and some code for supporting the proper microformats, this is a quick reality in the Drupal space as well. Because the functionality is built on basic web standards, it’s possible for any CMS to support them. All that’s left is to ramp up adoption. Interestingly, swentel’s module also supports Microsub, so that reader clients will allow one to like (bookmark, or reply to) posts directly within readers which will then send Micropub requests to one’s website to post them as well as to potentially send Webmention notifications. These pieces help to close the circle of posting, reading, and easily interacting on the open web the way closed silos like Facebook, Twitter, et al. allow. It may still be a while before I can make the leap I’d love to make to using Microsub related technology to replace my daily feed reader habits. I know that several people are working diligently on a Microsub server for WordPress and there are already a handful of reader interfaces available. I’m particularly interested in the fact that I can use a reader interface integrated with Micropub so that my reactions in the reader (likes, bookmarks, replies, etc.) are posted back to my own personal website which will then send notifications (via Webmention) to the mentioned websites. Of course it’s going to take some time before I’m using it and even more time after that for the set up to become common and easy to use for others. So until then, I and others will need some tools to use right now. (2) using the custom posting interface in Inoreader in conjunction with post editor URL schemes with the Post Kinds plugin to create the posts. Using WordPress’ built-in Post This bookmarklet schemes could also be used to make these posts, but Post Kinds plugin offers a lot more metadata and flexibility. Below is a brief outline of some of the IFTTT recipes I’ve used to take data from posts I interact with in Inoreader and post them to my own website. The trigger interface in IFTTT for creating new applets using Inoreader functionality. IFTTT has an explicit like functionality with a one click like button. There is an IFTTT recipe which allows taking this datum and adding it directly as a WordPress post with lots of rich data. 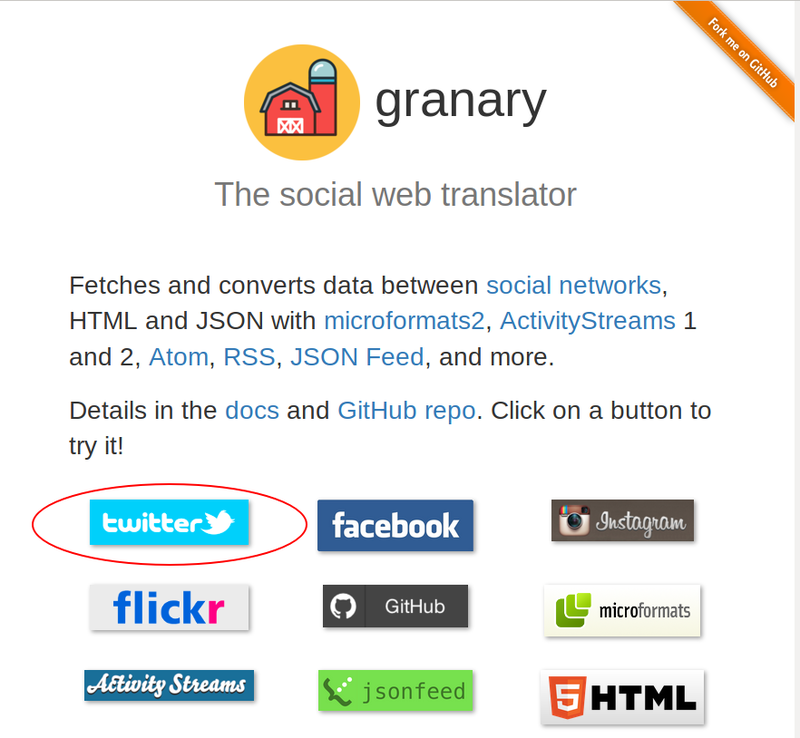 The “then that” portion of IFTTT using WordPress allows some reasonable functionality for porting over data. IFTTT also has explicit favorite functionality using a one click starred article button. There is an IFTTT recipe which allows adding this directly as a WordPress post. Since the “starred” article isn’t defined specifically in Inoreader as a “favorite”, one could alternately use it to create “read” or “bookmark” posts on their WordPress websites. I’m tempted to try this for read posts as I probably wouldn’t often use it to create favorite posts on my own website. Ultimately one at least wants an easy-to-remember 1 to 1 mapping of pieces of functionality in Inoreader to their own website, so whatever I decide I’ll likely stick to it. While there is no specific functionality for creating bookmarks in Inoreader (though starred articles could be used this way as previously mentioned), there is a “saved webpage” functionality that could be used here in addition to an IFTTT recipe to port over the data to WordPress. While Inoreader has a common feed reader read/unread functionality, it is often not used tacitly and this is a means of reducing friction within the application. Not really wanting to muddle the meaning of the “starred” article to do it, I’ve opted to adding an explicit “read” tag on posts I’ve read. IFTTT does have a “New tagged article” recipe that will allow me to take articles in Inoreader with my “read” tag and post them to my website. It’s pretty simple and easy. For dealing with replies, there is an odd quirk within Inoreader. Confoundingly the feed reader has two similar, yet still very different commenting functionalities. One is explicitly named “comment”, but sadly there isn’t a related IFTTT trigger nor an RSS feed to take advantage of the data one puts into the comment functionality. Fortunately there is a separate “broadcast” functionality. There is an IFTTT recipe for “new broadcasted article” that will allow one to take the reply/comment and post it to one’s WordPress website. Like many of the above there is a specific IFTTT recipe that will allow one to add subscriptions directly to WordPress as posts, so that any new subscriptions (or follows) within the Inoreader interface can create follow posts! I doubt many people may use this recipe, but it’s awesome that it exists. Currently anything added to my blogrolls (aka Following Page) gets ported over to Inoreader via OPML subscription, so I’m curious if them being added that way will create these follow posts? And if so, is there a good date/time stamp for these? I still have to do some experimenting to see exactly how this is going to work. In addition to the IFTTT recipe functionality described above, one could also use IFTTT RSS functionality to pipe RSS feeds which Inoreader provides (especially via tags) into a WordPress website. I don’t personally use this sort of set up, but thought I’d at least mention it in passing so that anyone who might like to create other post types to their website could. Custom sharing functionality in Inoreader. I’ve added set up to post reads, bookmarks, likes, replies and listens to my personal website. Once made, these custom button icons appear at the bottom of every post in Inoreader, so, for example, if I want to reply to a post I’ve just read, I can click on the reply button which will open a new browser window for a new post on my website. The Post Kinds plugin on my site automatically pulls in the URL of the original post, parses that page and–where available–pulls in the title, synopsis, post date/time, the author, author URL, author photo, and a featured photo as well as automatically setting the specific post kind and post format. A lot of this data helps to create a useful reply context on my website. I can then type in my reply to the post and add any other categories, tags, or data I’d like in my admin interface. Finally I publish the post which sends notifications to the original post I read (via Webmention). Screencapture of Inoreader’s interface highlighting some of their social features as well as the custom sharing interface I’ve added. The article shown here is one lamenting the lost infrastructure of feed readers and hopes for future infrastructure from Jon Udell entitled Where’s my Net dashboard? With either of the above set ups, there are a few quick and easy clicks to create my posts and I’m done. Could it be simpler? Yes, but it likely won’t be much more until I’ve got a fully functional Microsub server and reader up and working. Of course, I also love Inoreader and its huge variety of features and great usability. While I’m patiently awaiting having my own WordPress Microsub server, I certainly wouldn’t mind it if Inoreader decided to add some IndieWeb functionality itself. Then perhaps I wouldn’t need to make the switch in the near future. What would this look like? It could include the ability to allow me to log into Inoreader using my own website using IndieAuth protocol. It could also add Micropub functionality to allow me to post all these things directly and explicitly to my website in an easier manner. And finally, if they really wanted to go even further, they could make themselves a Microsub server that enables me to use any one of several Microsub clients to read content and post to my own website. And of course the benefit to Inoreader is that if they support these open internet specifications, then their application not only works with WordPress sites with the few appropriate plugins, but Inoreader will also work with a huge variety of other content management systems that support these specs as well. Whether or not Inoreader supports these protocols, there is a coming wave of new social feed readers that will begin to close many of these functional gaps that made RSS difficult. I know things will slowly, but eventually get better, simpler, and easier to use. Soon posting to one’s website and doing two way communication on the internet via truly social readers will be a reality, and one that’s likely to make it far easier to eschew the toxicity and problems of social sites like Facebook and Twitter. RSS certainly has some significant user interface problems and Jon’s post certainly highlights a few of them. Lately I’ve far preferred how SubToMe helps ease some of these UI challenges. Their simple button is a great way for blogs to help pave the way to allow users to ore easily subscribe to a website via RSS. Interestingly, I came to this post in my feed reader while randomly looking for something I could use as an example in something I was writing about feed readers!!! I’m currently hoping that the next wave of social readers based on Microsub and which also support Micropub will be a major part of the answer. Long-form reader built on open protocols. This is a cool looking reader project that’s got some ActivityPub. Would be cool to see integrated microformats h-feeds or even some mixing with Microsub to help bridge the Fediverse and IndieWeb efforts. His write.as project is fantastic looking too. Reading.am user interface indicating who else on the service has read an article. The tougher follow up is: how could we create a decentralized method of doing this sort of workflow in a more IndieWeb way? It would be nice if my read posts on my site (and those of others) could be overlain on websites via a bookmarklet or other means as a social layer to create engaged discussion. Better would have been the ability to quickly surface his commentary, if any, on the piece as well–functionality which I think Reading.am also does, though I rarely ever see it. In some sense I would have come across Jeremy’s read post in his feed later this weekend, but it doesn’t provide the immediacy that this method did. I’ll also admit that I prefer having found out about his reading it only after I’d read it myself, but having his and others’ recommendations on a piece (by their explicit read posts) is a useful and worthwhile piece of data, particularly for pieces I might have otherwise passed over. In some sense, some of this functionality isn’t too different from that provided by Hypothes.is, though that is hidden away within another browser extension layer and requires not only direct examination, but scanning for those whose identities I might recognize because Hypothes.is doesn’t have a specific following/follower social model to make my friends and colleagues a part of my social graph in that instance. The nice part of Hypothes.is’ browser extension is that it does add a small visual indicator to show that others have in fact read/annotated a particular site using the service. A UI example of Hypothes.is functionality within the Chrome browser. The yellow highlighted browser extension bug indicates that others have annotated a document. Clicking the image will take one to the annotations in situ. I’ve also previously documented on the IndieWeb wiki how WordPress.com (and WordPress.org with JetPack functionality) facepiles likes on content (typically underneath the content itself). This method doesn’t take things as far as the Reading.am case because it only shows a small fraction of the data, is much less useful, and is far less likely to unearth those in your social graph to make it useful to you, the reader. WordPress.com facepiles likes on content which could surface some of this social reading data. I seem to recall that Facebook has some similar functionality that is dependent upon how (and if) the publisher embeds Facebook into their site. I don’t think I’ve seen this sort of interface built into another service this way and certainly not front and center the way that Reading.am does it. The closest thing I can think of to this type of functionality in the analog world was in my childhood when library card slips in books had the names of prior patrons on them when you signed your own name when checking out a book, though this also had the large world problem that WordPress likes have in that one typically wouldn’t have know many of the names of prior patrons necessarily. I suspect that the Robert Bork privacy incident along with the evolution of library databases and bar codes have caused this older system to disappear. This general idea might make an interesting topic to explore at an upcoming IndieWebCamp if not before. The question is: how to add in the social graph aspect of reading to uncover this data? I’m also curious how it might or might not be worked into a feed reader or into microsub related technologies as well. Microsub clients or related browser extensions might make a great place to add this functionality as they would have the data about whom you’re already following (aka your social graph data) as well as access to their read/like/favorite posts. I know that some users have reported consuming feeds of friends’ reads, likes, favorites, and bookmarks as potential recommendations of things they might be interested in reading as well, so perhaps this would be an additional extension of that as well? I’ve certainly seen this functionality before, but most often the other readers are people I don’t know or know that well because the service isn’t huge and I’m not using it to follow a large number of other people. I knew he was generally interested already as I happen to be following this particular site at his prior recommendation, but the idea still illustrates the broader point. Richard MacManus wrote about the state of feed readers as he saw it in his AltPlatform.org post titled “The state of feed readers”. He mentioned a couple things in his Feedly wishlist that prompted me to think more about what I’d like to see added to Feedly. Apparently there were a bunch of us thinking and writing about feed readers and the open web a year ago last June. Several week’s prior to Richard’s article, I’d written a piece for Richard’s now defunct AltPlatform entitled Feed reader revolution (now archived on my site), which laid out some pieces similar to Paul’s take here, though it tied in some more of what was then the state of the art in IndieWeb tech. Around that time I began tinkering with other feed readers including Inoreader, which I’ve been using for it’s ability to auto-update my RSS feeds using OPML subscriptions from the OPML files I maintain on my own website. Currently I’m more interested in what the Microsub specification is starting to surface in the feed reader space. I’m not sure if he’s played around with it since, but, like Paul, I was using some of the Press This bookmarklet functionality in conjunction with David Shanske’s Post Kinds plugin for WordPress to make posting snippets of things to my website easier. Feedly has a Pro (aka paid) functionality to allow one to share content using custom URLs. Screenshot of the custom share functionality set up from within Feedly.com. One should change the URL to reflect their own site, and one can also change the word “bookmark” to the appropriate desired kind including “like”, “favorite”, “read”, or any of the others they may have enabled within the Post Kinds plugin. I personally don’t use this method as it only allows one custom sharing URL (and thus allows only one post kind), and instead (again) prefer Inoreader which allows one to configure custom sharing similarly to Feedly, but doesn’t limit the number of kinds and the feature is available in their free tier as well. In addition to some of what I’ve written about the Post Kinds plugin before, I’ve also detailed how to dovetail it with sharing from my Android phone quickly in the past. Also like Paul, I was greatly interested in quickly creating highlights and annotations on web content and posting them to my own website. Here I’m using a modified version of the Post Kinds plugin to accomplish this having created highlight posts and annotation posts for my site. Next I’m utilizing the ability to prepend http://via.hypothes.is to URLs on my mobile phone to call up the ability to use my Hypothesis account to easily and quickly create highlights and annotations. I then use some details from the outline linked below to capture that data via RSS using IFTTT.com. Naturally, the process could be streamlined a lot from a UI perspective, but I think it provides some fairly nice results without a huge amount of work. I will mention that I’ve seen bugs in trying to annotate easily on Chrome’s mobile application, but haven’t had any issues in using Firefox’s mobile browser. Jan, as I had mentioned to you earlier this year at WordCamp Orange County, the work on the IndieWeb concept of Microsub with respect to feed readers is continuing apace. In the last few months Aaron Parecki has opened up beta versions of his Aperture microsub server as well as limited access to his Monocle reader interface in addition to the existing Indigenous and Together reader interfaces. My friend Jack Jamieson is in the midst of building a WordPress-specific Microsub server implementation which he’s indicated still needs more work, but which he’s self-dogfooding on his own website as a feed reader currently. If it’s of interest, you or your colleagues at Automattic might want to take a look at it in terms of potentially adding a related Microsub reader interface as the other half of his Microsub server. Given your prior work on the beautiful WordPress.com feed reader, this may be relatively easy work which you could very quickly leverage to provide the WordPress ecosystem with an incredibly powerful feed reader interface through which users can interact directly with other sites using the W3C’s Micropub and Webmention specifications for which there are already pre-existing plugins within the repository. While I understand most of the high level moving pieces, some of the technical specifics are beyond my coding abilities. Should you need help or assistance in cobbling together the front end, I’m positive that Jack, Aaron Parecki, David Shanske, and others in the IndieWeb chat (perhaps the #Dev or #WordPress channels–there are also bridges for using IRC, Slack, or Matrix if you prefer them) would be more than happy to lend a hand to get another implementation of a Microsub reader interface off the ground. I suspect your experience and design background could also help to shape the Microsub spec as well as potentially add things to it which others haven’t yet considered from a usability perspective. In the erstwhile, I hope all is well with you. Warmest regards! Indiepaper is a read-later service built for the open web. Save your articles, and never again get locked out by a proprietary service like Instapaper.